The British National Health Service (NHS) has come under increased scrutiny in recent months, with a series of heartbreaking cases highlighting the abject failure of certain medical professionals in showing basic human compassion. But the implicit narrative that the NHS is a fundamentally corrupt institution that actively seeks to destroy life must be corrected. Charlie Gard, Alfie Evans and, more recently, Oliver Cameron — the names send shudders through the spines of NHS hospital managers. These names serve as a stark reminder of the bureaucratic, legal and moral nightmare that has engulfed the NHS over the past few years. And the outrage from across the pond has been ferocious. Oliver Cameron is the latest British child to have been in medical dire straits with nowhere to turn. Oliver was born with a non-cancerous tumor in his heart, called a cardiac fibroma. Unfortunately, due to the rarity of the condition, doctors in the UK said they would be unable to remove the growth. After contacting Boston Children’s Hospital, it became clear that a resident cardiologist believed Oliver could undergo the required surgery if he was transferred to the United States. Initially, the NHS refused to fund the procedure, but after the boy’s parents raised the necessary cash, they changed their mind. The surgery was successful and Oliver is now making a good recovery. In the end, this was very much a success story, but there is no doubt that many of these cases end in utter tragedy and grave injustice. In these situations, it is desperately important to shine the media spotlight into any dark corners of clinical care and expose any treacherous downfalls of medical bureaucracy. It is also of vital importance to remember that these horrific cases are also extraordinarily rare. Now, I must confess that I am somewhat of an insider on this issue. As a Brit, I possess first-hand experience of the inconceivable blessing that is the NHS. Last summer, I watched a team of physicians take excellent care of my wife as she gave birth to our first child. We had a room that could only be described as a “maternity hotel suite,” complete with hot tub (or “birthing pool”). It was glorious. By and large, I believe this is the experience of most people who reside in the United Kingdom — they see the NHS as a gift. Let’s be clear: the NHS enables any person residing in England, Wales, Scotland and Northern Ireland to walk into Accident & Emergency and, (though they may have to wait a few hours! ), be assured that they will be fully taken care of by qualified professionals. If an admission to hospital is necessary, NHS patients are entitled to an infinite supply of medication and will be kept under 24/7 clinical care until they have fully recovered — all without paying a penny. And yet, I hear many conservative commentators across the pond declaring that the rare failings of a small number of individuals, many of whom are not even employed by the NHS, demonstrates the intrinsic risk of developing “socialist” and “state-mandated” healthcare. I have heard others lambast the NHS for “killing kids” and creating a culture of death. Alongside these false narratives is the assertion that the NHS is at “breaking point” and that it is refusing to treat sick children as a means to cut costs. The NHS has an annual budget of over £100 billion and employs 106,430 doctors; 285,893 nurses and health visitors; 21,597 midwives; 132,673 scientific, therapeutic and technical staff; 19,772 ambulance staff; 21,139 managers; and 9,974 senior managers. Overall, the number of staff on the NHS payroll totals around 1.4 million — it is by far the largest employer in the UK and is home to some of the most experienced physicians on the planet. So, attempting to explain away an extremely rare and exceedingly complex clinical and legal case with the soundbite assertion that the “NHS is broke” is both lazy and irresponsible. Indeed, while I in no way disagree that the NHS has ample room for improvement, I have to take issue with many of the ill-informed claims leveled at the National Health Service by my American friends, and even the President of the United States. As for the tax issue, well, the “benefit v. cost” aspect is an interesting one. 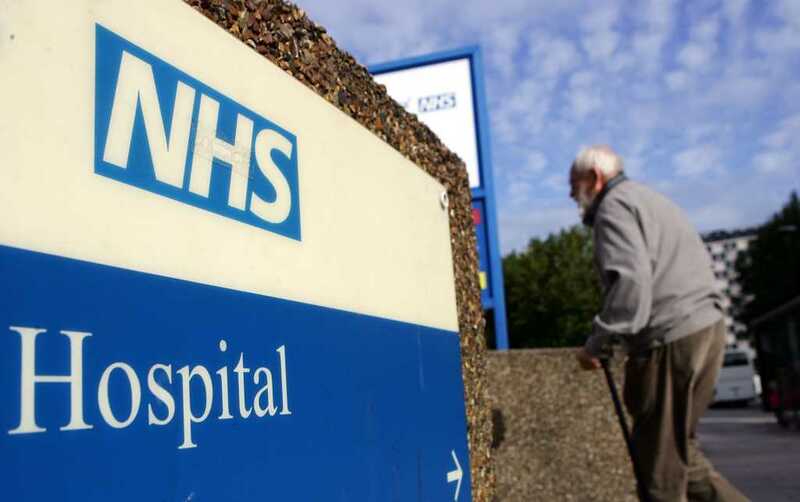 Earlier this year, Business Insider’s Jim Edwards completed an extensive comparison of U.S.-UK healthcare. Experiencing many different elements of each system, Edwards offered a critical analysis of medical care provided to him on both sides of the Atlantic. You don’t have to agree that it’s preferable to other healthcare systems, but it’s simply unfair and untrue to label the NHS an “anti-life movement.” Yes, there are isolated cases where the parents have been forced to look elsewhere for treatment not provided by the NHS. Yes, there are other ghastly situations, like the Alfie Evans case, where the legality of the situation was ultimately decided by the courts, which are outside the realm and jurisdiction of the healthcare providers. But to brashly declare that the NHS is “killing people” is a huge misrepresentation of the truth. To clarify, I covered the Evans case extensively. It was horrific. The whole thing, from the police officers stationed outside Alfie’s room to prevent his parents from transferring him to another hospital, to the high courts that insisted it was in the 23-month-old’s “best interest” for physicians to allow him to die — it was all absolutely tragic, and his family deserves justice. But this case was determined by a handful of misguided and morally corrupt medics with whom the courts agreed. It does not represent the NHS as a whole. The NHS has a huge number of Christian medical professionals (my father is one of them) who provide the highest quality of healthcare — indiscriminately and without inflicting financial burden. As you’d expect, most people in the UK see free healthcare as an incredible privilege and something to be grateful for, especially when they or a loved one is struck down by a sudden illness. Of course, it’s not perfect — there have been heinous mistakes and patently wrong judgments made by individual NHS trusts and their legal representation. But the drumming on about it being a dreadful “socialist experiment” and a “totalitarian nightmare” is hyperbolic and, in my opinion, wildly misguided. This sort of rhetoric is not dissimilar to Brits bemoaning the U.S. healthcare system for being “unjust” and catering exclusively to the wealthy — many think this, but do not take the time to look beyond the headlines and unearth the fundamental issues found within, for example, Medicare and Medicaid. Of course, it is important to protest the dreadful cases where ethically indefensible decisions have been taken at the expense of a child’s life — I don’t dispute that for one second. But responses must be thought-out. Smearing the entire NHS as a state-run kid-killing machine comes across as a ham-fisted, sensational and a desperately insensitive criticism that fails to take a fair look at the broader British healthcare system. For many conservative critics, their generic criticism of the NHS is based not on a foundation of facts, but on their fear of socialism. Trepidation is advised when it comes to socialist ideology — you only need to glance at the past 100 years to realize the innate dangers of socialism in practice. But I think we’d all agree that sweeping statements should never be one’s reaction to ideological fear; we must stick to the facts. So, whether American or British, I think we should all tread carefully when weighing in on something so profoundly complex. As Christians, I believe we must resist taking empirical shortcuts for the superficial high of a spike in social media engagement. We must seek to understand each other, to get to grips with the key issues in our society and we must research with all the rigor and integrity we can muster. Taking an ill-informed view and harnessing it as a vehicle for ideological point-scoring is reckless, divisive and absurd. We have to do better than that. It is only when we endeavor to understand the crucial nuances of a flawed system that we will be able to truly challenge perspectives, effectively fight injustice and catalyze new waves of change.